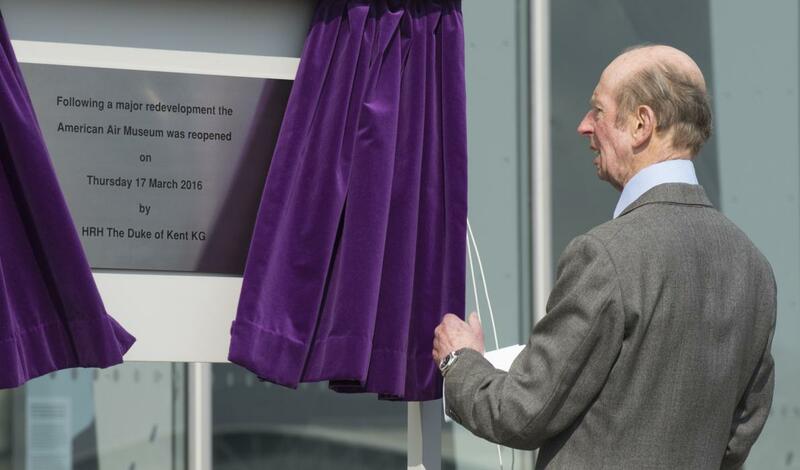 The Duke of Kent has reopened the Imperial War Museum's American Air Museum at Duxford following a regeneration project. The American Air Museum explores Anglo-American collaboration in twentieth and twenty-first century conflict, and exhibits a large collection of American aircraft. 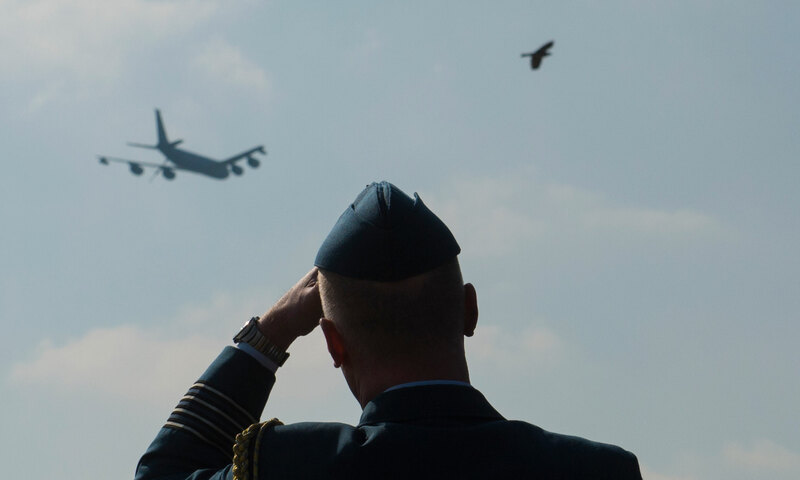 The Duke, who has been President of the Board of Trustees for Imperial War Museums since 1974, began the visit by unveiling a statue and watching a flypast of American aircraft. The statue, called The Honor Guard, by Zenos Frudakis, is a replica of the sculpture which stands at the National Air Force Memorial in Washington DC, and shows four bronze figures, two bearing flags, two bearing weapons. The Duke then watched a celebratory fly past which included a Boeing KC-135 Stratotanker and a McDonnell Douglas F-15 Eagle, followed by a P-51 Mustang flight display. Diane Lees, Director-General of IWM, said: "Today is a hugely significant day for all of us at IWM Duxford – and we are privileged that His Royal Highness The Duke of Kent officially opened our transformed American Air Museum, witnessed by so many of those who have contributed to it. I would like to thank Ross Perot, Jr. and his wife Sarah for the Honor Guard sculpture, which is a truly magnificent sight for all who work and visit here." You can find out more about the American Air Museum at www.americanairmuseum.com.